Girls in Gis came together in the Rio Grande Valley Halloween weekend to learn some new tricks and were in for a real treat. Twenty-five GIG participants joined host Brenda Castillo-Rodriguez at Paragon RGV Brazilian Jiu-Jitsu in Edinburg, Texas on October 28th. Castillo-Rodriguez was the hostess with the mostess. Her gracious hospitality along with her husband Romi Rodriguez and Paragon RGV Brazilian Jiu-Jitsu made for a wonderful GIG event. The success of this event was a direct representation of the unity and comrade of their academy and kindness and generosity of their hearts. Participants raved about the GIG-Edinburg event and the experiences they had. 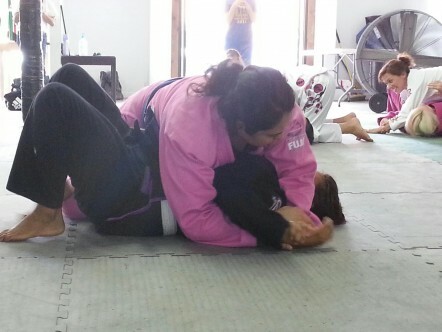 For several of the girls this was their first Girls in Gis event. This is the second time GIG has held an event in the Rio Grande Valley. A trip to south Texas was way overdue. Castillo-Rodriguez did an amazing job creating a fun filled event that made a lasting impact on GIG participants. They could not have done a better job. And that’s what GIG events are all about, the experience! It’s about creating lasting memories, learning new technique, exploring other academies, getting together with friends and making new ones. There was no better place to be then at GIG-Edinburg! 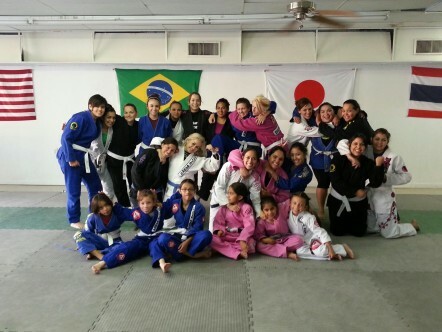 Thank you Paragon RGV Brazilian Jiu-Jitsu, Brenda Castillo-Rodriguez, Romi Rodriguez and all of you awesome Girls in Gis!